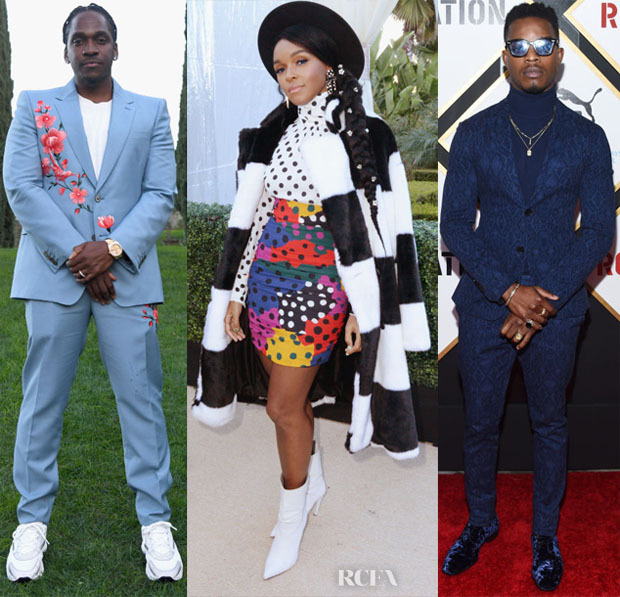 There were many more stars who joined Beyonce Knowles and Jay-Z at the 2019 Roc Nation THE BRUNCH event on Saturday (February 9) in Los Angeles, California. Pusha T: The rapper joined Jay-Z by rocking at light blue suit. You should recognise this Alexander McQueen look, as it was first worn by Timothée Chalamet during the San Sebastian Film Festival back in September. Like Timothée, Pusha T also opted for sneakers. Janelle Monáe: Mixing colour via Emanuel Ungaro, with her signature black and white, the actress proves that pigeonholing her style-wise isn’t a smart move. Stephan James: This man can do no wrong. My best dressed male of 2019 continued to showcase why he deserves that accolade wearing an aztec print Etro suit styled with David Yurman jewels and velvet slippers. 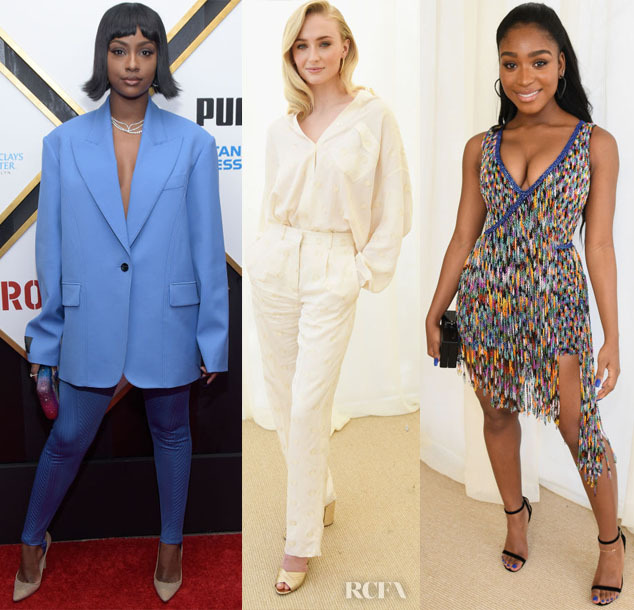 Justine Skye: The entertainer joined the blue suit trend that is sweeping the red carpet this weekend in Mugler Pre-Fall 2019. Sophie Turner: On a carpet full of colour and print, Sophie kept things neutral in Louis Vuitton. Normani: The singer dazzled in this stunning beaded creation from Rami Kadi’s Spring 2019 collection.